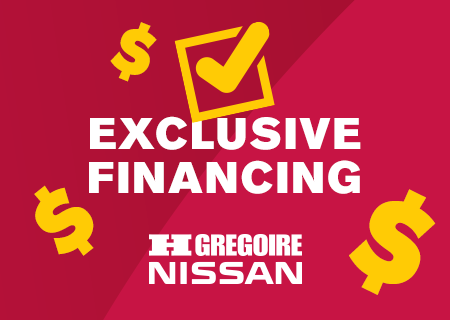 Because choosing HGregoire Nissan St-Eustache means having access to thousands of vehicles. 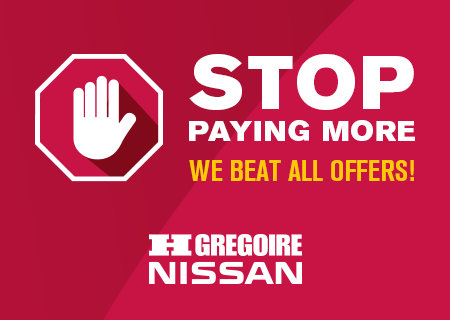 Stop paying more, we beat all offers! With nearly 24 dealers in the province, and a vast inventory of more than 5,000 vehicles, the HGregoire Group is undoubtedly the largest in Quebec. In order to guarantee you the best price, we evaluate in real time the value of a vehicle on the market using algorithms. In addition, thanks to the HGregoire Group's network, we can take advantage of HGregoire's buying and selling power. This allows us to offer you the lowest prices on the market. So why pay more? Come see us! 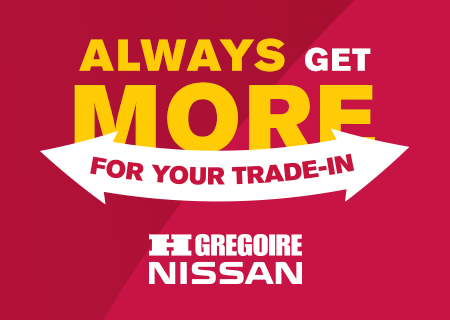 With the sales volume of the HGregoire Group of more than 30,000 vehicles a year, we must always renew your inventory. 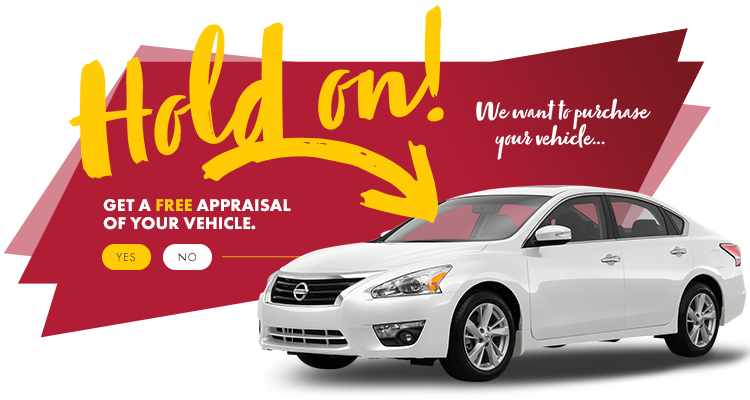 That's why you will always get the best price for your trade-in vehicle! Our large distribution network in Canada and the United States allows us to know in which market your trade-in will be the most appreciated, which can allow you to get a better price for your vehicle. Note that if your vehicle can be exported to the United States, you could get up to 30% more for your trade-in! To get the max, there is only one possible destination. Come see us! What is the power of the HGregoire Group? That of making you benefit from its advantageous agreements with the largest banks. Thanks to our large sales volume, we are able to provide you with exclusive sources of financing at the best possible interest rate. For the best rate on the market, come see us! Exclusively at HGregoire, our representants can travel to your home to offer you a test drive of the new vehicle of your choice. 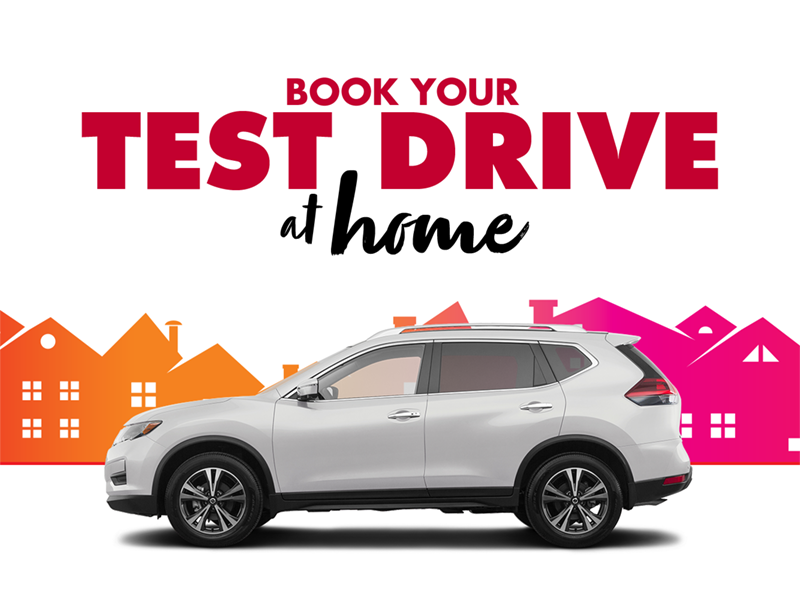 Save time by discovering our road test at home program!